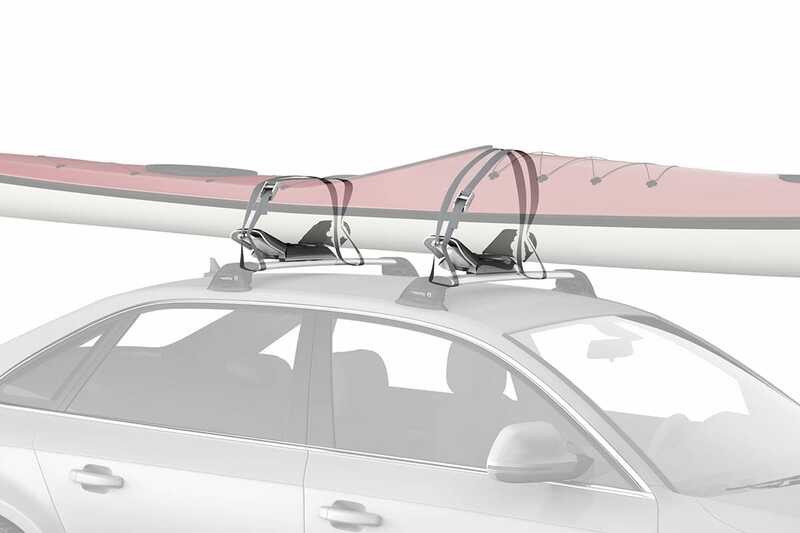 Part of Whispbar’s new range of kayak carriers, the WB401 is a very classy system. This refined kayak saddle system stylishly carries any kayak with ultimate ease and security. The Smartload rollers allow for easy rear roll-on loading while the fold-down Smartflex wings adjust to the shape of any kayak for cushioned support. Carries a boat up to 36kg.